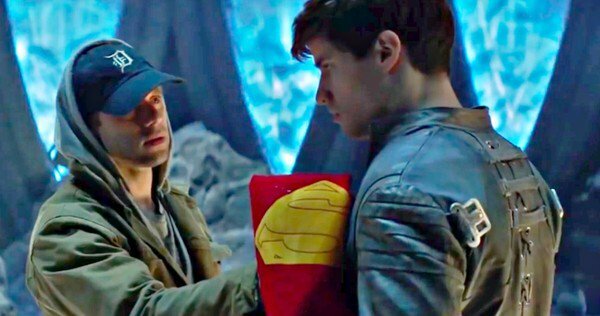 Krypton has premiered and while I was initially skeptical of yet another prequel show, I was left somewhat intrigued by the end. Set about 200 years before the destruction of Krypton, this show tells the story of Jor-El’s father, Seg-El as he fights for justice in the present to preserve the future for his grandson, Kal-El. While we all know the fate of the planet Krypton, there are still a few takeaways from the show that should be examined. As Geoff Johns revealed, much of the show will revolve around past and present events that is affecting Superman. Strange appears early on in the show to warn Seg-El about the future and if he doesn’t act, Superman will never be. The question of course is how much of Strange’s tampering in the past will affect the present? One of my biggest questions considering two props that were seen is what universe rules will this show follow? We saw the Sunstone crystal similar to the one that we have seen in the recent Man of Steel movies, but the cape that Strange shows Seg-El is closer to the classical style as seen by Christopher Reeve in the original movies. Will this show connect to any of the DCEU movies? 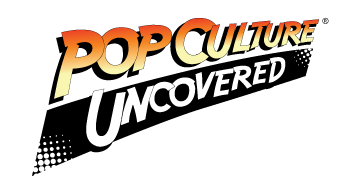 Of course, this just may be a curveball: considering how many Earths there are in the DC Universe continuum, this show may not even connect to the DCEU movies at all. One of the show’s focuses will be on the classicism featured in Kryptonian society. When Seg-El’s grandfather is executed for treason (the Els have been a problematic family from way back as you will find! ), Seg-El’s only way back is to become a part of House of Vex, part of which involves marrying into the family. Things get complicated because he is already in a relationship with Lyta Zod. So, will this relationship be what puts later generations including Jor-El and Dru-Zod at odds? I bet any amount of money that there will be a baby born that kicks off this mess. Yes, we know that Braniac is a major shadow of things to come for this show. In recent interpretations, Braniac has been responsible for the destruction of Krypton. On the show he is mentioned early on and we get a glimpse of him as the show closes. The question here is with consideration to the continuity, how much time will the show focus on Braniac as a direct threat? Or, will he be a looming threat, that’s present but on the backburner? Will Doomsday play a part on trying to speed up Braniac’s timetable for decimating Krypton? Who are those two statues of…? We find out that Seg-El’s grandfather also has a secret Fortress of Solitude built. While it’s not known as to how it will play out in Seg-El’s quest to save his grandson, we do see something that is familiar to present day Superman fans. There are two statues that are also there and in similar poses that we have seen over the years in Kal-El’s fortress. Is this just window dressing as a homage to the original shows and comics we have gotten or will we learn some of their history as well and does it play a part in this show? These are some of the notable items the popped up during the show’s premier and hopefully we will find out more as the show progresses. Join us as we live tweet Krypton in the following weeks!